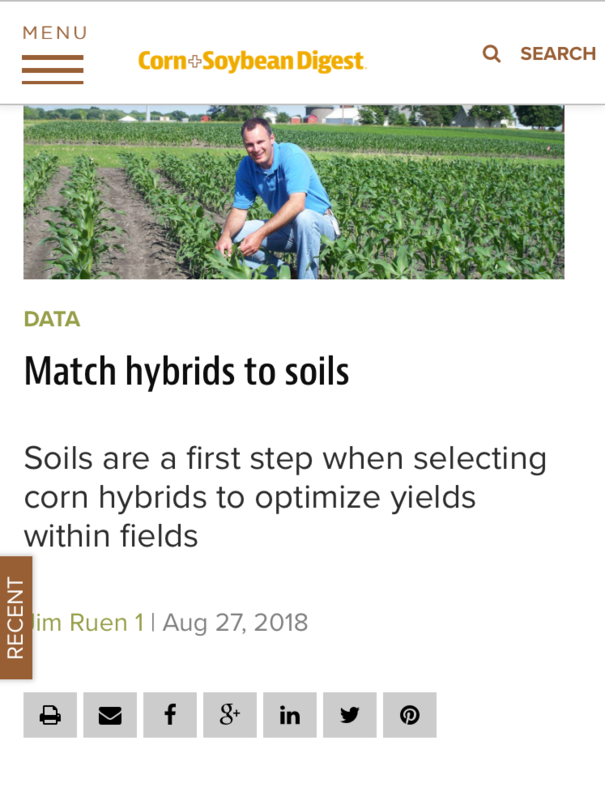 October 9, 2018 – Bruce Battles, head of agronomy, seeds, explains that just as the best athlete can’t excel in every sport, the best hybrid also can’t excel in every acre. Find out more about what Bruce had to say in Corn+Soybean Digest’s hybrid selection feature. Source: Jim Ruen – Contributing Writer – Corn+Soybean Digest in Minneapolis-Saint Paul, MN. https://www.cornandsoybeandigest.com/equipment/whats-new-ag-sept-24-28/gallery?slide=2 Corn+Soybean Digest is an agricultural resource written for America's corn, cotton and soybean producers. Provides information on soybean production techniques, farm management, marketing strategies, chemical news and new products. Learn more at http://www.cornandsoybeandigest.com.